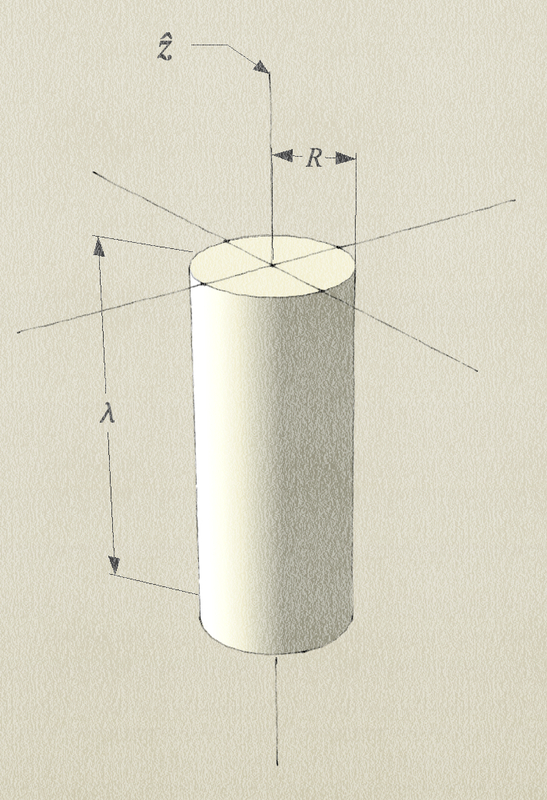 An atomic event modeled as a geometric cylinder in Euclidean space. We use this model to visualize one atomic event. Then it is easy to imagine the chain of events $\Psi$ as a row of cylinders strung-out end-to-end, like a tube or wire.